China has threatened to cut off critical contact with Taiwan unless its new president, Tsai Ing-wen formally acknowledges the so-called “One China” principle. The comments, made by China's Taiwan Affairs Office spokesman Ma Xiaoguang, were that only on confirmation of this principle could "cross-Strait affairs authorities continue regular communication". Significantly, the statement followed Tsai’s inauguration speech, where she called for “positive dialogue” with the mainland, but made no explicit mention on her position on the “One China” Principle. 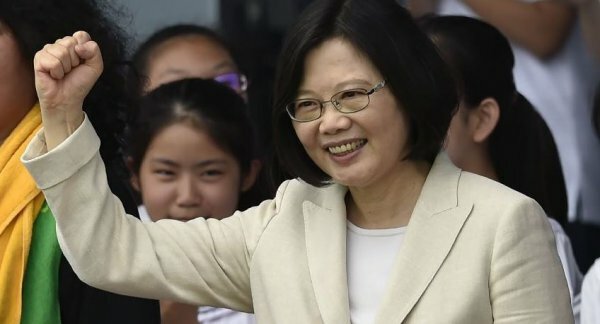 Beijing warned Taiwan it would cut off critical contacts with the island if its new president Tsai Ing-wen does not state her support for the concept that there is only “one China”, state media reported Saturday [21 May 2016]. The comments came a day after Beijing-sceptic Tsai's inauguration speech, where she called for "positive dialogue" with the Chinese mainland, but stopped short of any compromise on Beijing’s demands that she back its “one China” principle. The tacit agreement followed a 1992 meeting between Chinese officials and the KMT which laid out the “one China” ideology, but allowed each side its own interpretation.